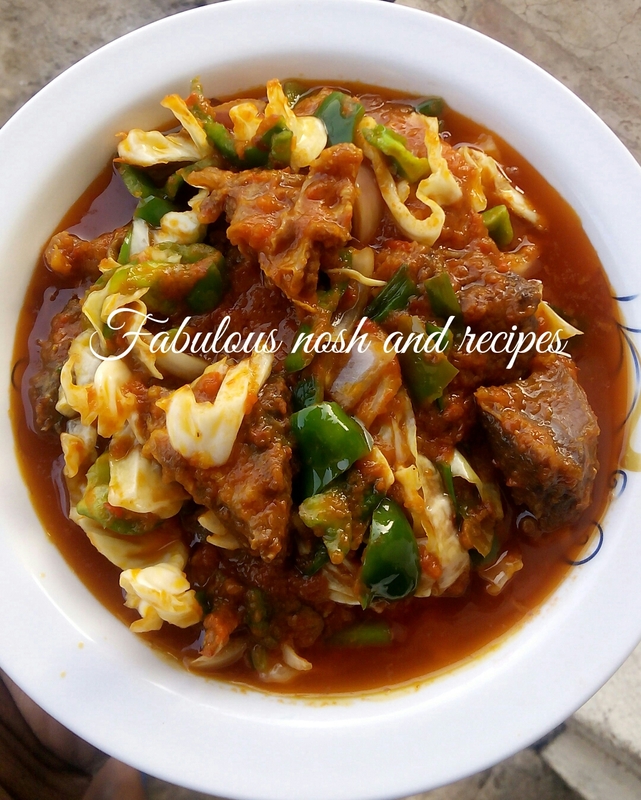 Blend tatashe and tomatoes with 1 big onion. In a pot strictly fry vegetable oil with 1 diced onion. Add blended tatashe/tomatoes, beef stock, stock cubes, springonions, 1 sachet gino curry powder, and fried beef if at all you can using beef but skip this part to the last part if you want to using fried fish/fry on average heat till oil settles on top of the pot that means its perfectly fried.